Older buyers may want to consider finding a way to pay off the mortgage quicker, especially if they will rely on a fixed income. It’s often the most daunting and emotionally taxing item on one’s financial to-do list: buying a home. Most people wade into homeownership for the first time in their 20s and early 30s, when they still have the bulk of their working years ahead of them and a long runway to build equity — a key asset for eventually moving up to a bigger home. But what if you have reached midlife and still envision buying a home one day? Tackling that first home purchase after age 40 can be easier, in some ways, than when you’re just staring out in your career. But it also brings its own set of financial factors. ‘‘It’s important to consider the financial work you have left,’’ says Eleanor Blayney, consumer advocate for the Certified Financial Planner Board of Standards, based in Washington D.C.
A National Association of Realtors survey of people who bought a home between July 2011 and June 2012 showed that nearly 80 percent of first-time home buyers were 32 years old or younger. In the next age bracket, those ages 33 to 47, about 36 percent were first-time buyers; between the ages of 48 and 57, only 19 percent were first-time buyers. The rates of first-time homeownership generally declined as buyers got older, according to the survey, which featured 8,500 respondents. Even so, the last decade’s economic downturn and housing crash have forced many to put off that first home purchase. Good news: Being closer to retirement age than those in their 20s and 30s can’t legally be held against you by a lender when you are considered for a home loan — regardless of the loan period. ‘‘So if somebody was to walk in today, and they’re 114 years old, and they ask for a 30-year mortgage and qualify for it, we have to give it to them,’’ says Tom Jarboe, regional manager at the lender Primary Residential Mortgage Inc. The decision on whether one qualifies for a loan hinges on the borrower’s income, assets, credit history, and other factors. Generally, banks look back two years to establish a borrower’s income history; they also look to evaluate the likelihood that the borrower will continue to make the same level of income for at least another three years. If you’re in your late 50s or early 60s and disclose that you are planning to retire within three years, a lender will evaluate your projected earnings from Social Security, retirement accounts, dividends on investments, and other applicable sources. Most banks operate under the assumption that even a 30-year fixed-rate mortgage will be swapped out for another loan within eight years, if not sooner. That’s because many home buyers end up refinancing, or moving for work or due to family considerations. But paying off a home and owning it free and clear by the time one retires is a smart play, particularly because the cost of housing is a significant expense for a person who relies on a fixed income. 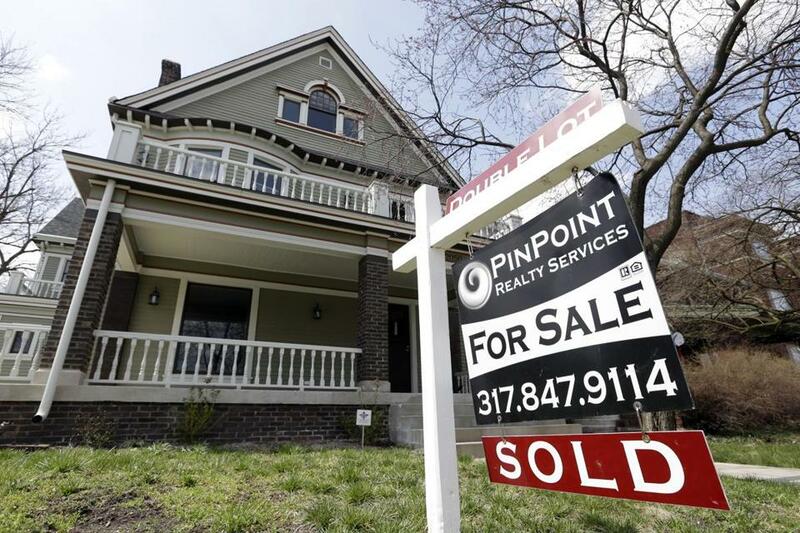 That can be tougher for someone who puts off that first home purchase two decades into their prime working years, assuming they have not saved up money to make a hefty down payment — think at least 30 percent. Blayney recommends that even older borrowers who take on a 30-year mortgage take steps to pay off the loan or to lower the monthly payment significantly by the time they retire. That could mean making extra payments during the early years of the loan, or putting down more than the minimum down payment, so that the borrower is financing a smaller amount. A 15-year mortgage, which typically translates into lower interest but higher monthly payments, is another route to a quicker loan payoff. One of the biggest obstacles to homeownership is coming up with a down payment to qualify for a loan. Federal and state housing agencies offer assistance for first-time home buyers, including in many cases former homeowners who have not owned a home for at least three years. You can find a list of some programs by state at www.hud.gov . Remember though, that while some loan programs allow home buyers to make a down payment of as little as 3.5 percent of the purchase price, the experts say you’ll need to save enough for at least a 20 percent down payment in order to get the lowest interest rate — and to avoid having to pay for private mortgage insurance, or PMI. And the programs can come with hefty fees and restrictions. Ask yourself: Is it the right time to buy? You may want to own a home, but are you ready to take on the financial commitment that comes with a home loan? ‘‘This isn’t the situation where if you happen to time your purchase incorrectly when you’re 25 and you buy at the top of the market, you still have most of your life left to recover financially,’’ says Rick Sharga, executive vice president at the home auction site Auction.com. Buying a home in midlife or beyond has direct implications on retirement. Homeownership can bring stability to one’s monthly housing costs, versus rental housing, as well as tax benefits. But it also carries with it a trove of costs, including property taxes, insurance payments, and maintenance costs. A good way to evaluate all of the ways that buying a home — whether in cash or through financing — will affect one’s retirement finances is to enlist a financial planner to go over the retirement goals.